Five thousand page likes! Come celebrate with me! We’re almost there! Five thousand Facebook page likes! Once we hit the 5K mark, I’m giving away free book downloads from some of my favorite authors, and even some of mine, too. Please stop by MY PAGE for your chance to win!!! Categories: news | Tags: book giveaway, facebook, fan page, free kindle downloads, sophie's secret, tara west, tara west fan page | Permalink. 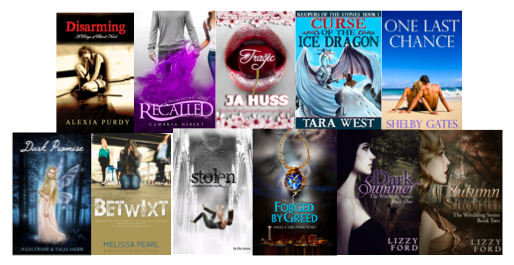 Summer Book Blast, ebook sale and cool swag giveaways! The Summer Book Blast runs from May 24-27 and is THE hottest and largest ebook sale to date for today’s best selling young adult, new adult and romantic fiction.We’re giving away over $1,000 in prizes! paperbacks and swag raffled off DAILY. 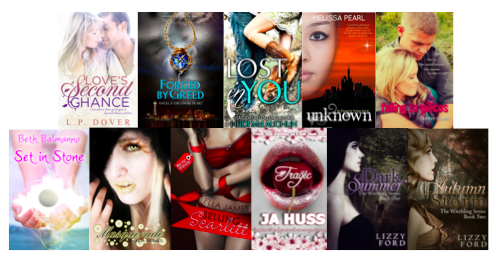 To participate in giveaways, visit the Summer Book Blast Facebook event page! To see the incredible books on sale, check out the Summer Book Blast web page! The Blast features books from over sixty authors, all of whom came together to lower their prices and offer their readers incredible deals to stock up for the hot, lazy summer months. The event has been arranged and coordinated by the following wonderful people on the Summer Book Blast committee: Lisa Markson, Leanne Jacobson, Stephanie Shaw and Jennifer Pringle. Categories: books, news | Tags: book swag shop, cambria hebert, dt dyllin, Julia Crane, kindle fire raffle, Lizzy Ford, tara west, zoey rogue | Permalink. Hey, everyone! 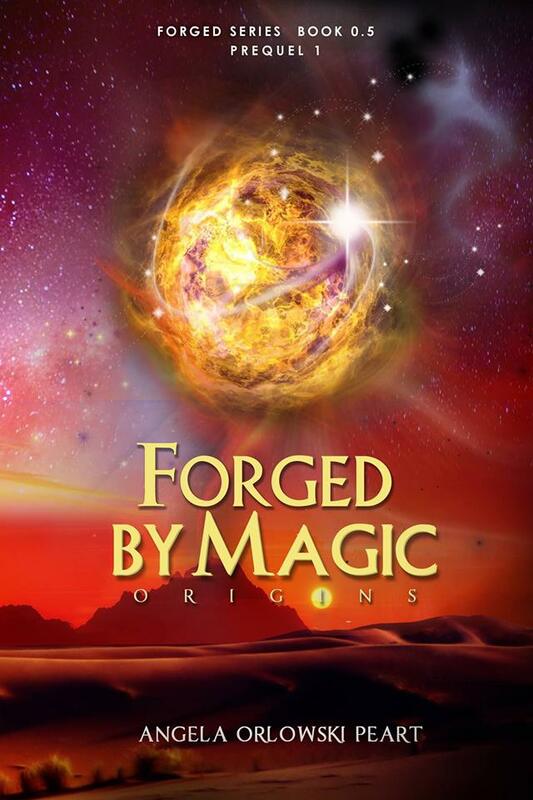 My friend, YA author Angela Orlowski Peart, has a new book coming out and I’m excited to show off her cover for Forged by Magic designed by Jeannie Ruesch! Isn’t it gorgeous? Forged by Magic: Origins is a collection of short stories, featuring the characters from the Forged series. This is the first of two prequels to the series. Each story is told from a different character’s point-of-view. Find out how the Amulet and the Dasht-e Kavir have been created, and how the powers of the Universe opened the gates to other dimensions, inadvertently releasing unworldly supernatural creatures into the Human World. Angela Orlowski-Peart was born and raised in Poland. She describes herself as European born, American by choice. She was just seven-years-old when she decided to learn English and translate her favorite Polish fairytales. Angela is the author of the Young Adult and New Adult fiction novels, including YA paranormal/urban fantasy series, The Forged. First book in series, Forged by Greed, was published on September 20, 2012. There are two anthologies of short stories, serving as the prequels to the series. First of them, Forged by Magic. Origins is scheduled for publishing on May 31st, 2013. The second anthology (still untitled) will be out at the end of June 2013. Next three full size novels, including Forged by Coalescence, will be released in 2013 and 2014. 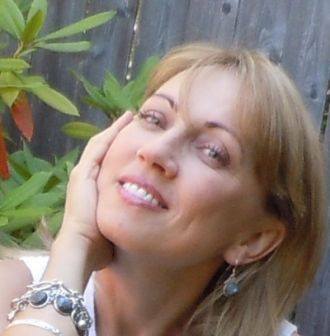 Angela writes in multiple genres, including paranormal, fantasy, urban fiction, sci-fi, and short stories. She loves reading good books almost as much as writing them. She speaks with Polish accent, but loves listening to the Southern drawl. She is passionate about watercolor painting, fashion—especially stilettos, rock climbing, environment, and organic food and gardening. She lives in the Seattle area with her family and a chronically curious cat. Categories: books, news | Tags: Angela Orlowski Peart, cover reveal, fantasy, Forged by Greed, Forged by Magic, Jeannie Ruesch, magic, paranormal, tara west, ya, YA author | Permalink. Five years ago I suffered a breakdown at a parent-teacher conference. I bawled in front of my little girl’s teachers, counselors, and the principal. Not because of anything my preschooler or the teachers had done, but because I thought I was dying. My health had been declining rapidly over the past year. I spent most of my days sleeping, and when I wasn’t asleep, I suffered from chronic pain and depression. My body was covered in bruises and my hair was falling out in clumps. My doctor had just discovered several lumps in my neck, and I was scheduled for a biopsy the next day. What if it was cancer? What if I was dying? Even though I had been too sick to give my child the attention she deserved, I knew no other woman could love my daughter the way I did. I couldn’t leave my child without a mommy. I drove myself to the biopsy. My husband was working out of town, and I had no one else to take me. The needles stung my neck, but I endured. I even joked with my doctor while she was stabbing me. I don’t care if it stings, I thought to myself. I’ll suffer through anything, just please God don’t take me from my child. I drove myself home from the hospital, crawled into bed and cried. Then I waited for the results. Those were the longest two days of my life. Much to my relief, it wasn’t cancer. Further testing revealed I had the auto-immune disease, Hashimotos. I began hormone replacement therapy right away and even changed my diet, eliminating certain foods like gluten which triggered the disease. 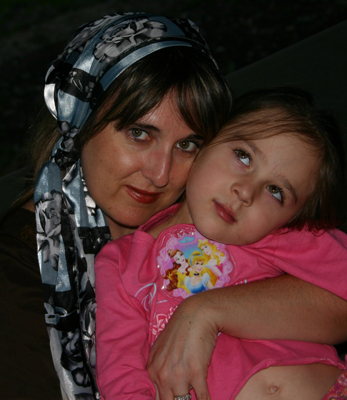 Slowly, I began to feel better, and once again, I was able to be a mommy to my little girl. Prior to my health scare, I had published a few young adult paranormal novels and was working on a fantasy. After a few years of treatment, I republished my YA series and finished that fantasy. And then my books started selling. I was getting fan letters and actually making enough money to pay the bills, as I continued to write and publish more books. Most of my reader reviews have been amazing. I’m simply floored and humbled by the outpouring of support from my fans. Of course, I’ve also gotten a few negative reviews. Some of the reviews are so mean, I’m certain I would have cried had I received them prior to my illness. But the thing is, I’ve already hit that low point in my life. And no review, no matter how hateful, can ever bring me lower than the paralyzing fear I had when I thought I’d be parted from my child. Lately I’ve read a few disheartening stories about authors being bullied by readers and bloggers. It saddens me to see these authors buckle under the negativity. If I could give advice to these authors, it would be this. Focus on what matters: your family, friends and fans. I guarantee you will hit low points in your life far worse than the humiliation brought on by a few readers who didn’t connect with your books. If you have the strength to wake up each day and craft stories, then draw from that strength, ignore the haters, and keep writing. Categories: books, news, Self Esteem | Tags: author bullying, book bloggers, criticism, goodreads bullies, goodreads reviews, hashimoto's, hateful reviews, negative goodreads reviews, negative reviews, tara west, whispers | Permalink. Whispers book five is out! Sophie’s Secret Crush is out now on Kindle and Smashwords. It should be on iTunes and Nook later next week. As a celebration of the book’s early release, I am having a Kindle sale today only for just .99. As always, I appreciate reader reviews on Amazon and Goodreads. THANKS! You can read the first four chapters here on Wattpad. Sophie Sinora’s life is centered around three things: her growing telepathic powers, a cute witch named Ethan and her starring role in the school play. Needless to say, she doesn’t have time for much else. But someone is bound to come along and screw up her little slice of happiness. That someone is her very first boyfriend, Frankie Salas. Welcome to Sophie’s world: two crushes, one heartache, and a whole lot of drama. Categories: books, news | Tags: bargain kindle book, chick lit, crush, drama, kindle deal, paranormal, romance, sophie's secret, tara west, teen, ya | Permalink. Hey, for those of you who don’t know, I belong to a totally awesome YA/NA group of writers called Indie Inked and we’re giving away some cool swag plus a $50 gift card to Amazon or Bath and Body Works. Winner’s choice! Plus, we’re also giving away prize packs: free downloads of some awesome books. To enter, click here. PLUS… swag from Julia Crane, Tara West, J.A. Huss and Alexia Purdy AND a $50 Voucher for Bath and Body Works or Amazon – your choice. PLUS… swag from Heidi McLaughlin, Angela Orlowski-Peart, Cambria Hebert and L.P. Dover AND a $50 Voucher for Bath and Body Works or Amazon – your choice. Since I am totally lame and can’t figure out how to put a rafflecopter on my site, to enter the giveaway, click HERE. Categories: books, news | Tags: Alexia Purdy, amazon gift card, angela pert, ella james, giveaway, heidi mclaughlin, indie inked, ja huss, Julia Crane, Lizzy Ford, lp dover, melissa pearl, mother's day giveaway, shelby gates, tara west | Permalink. Welcome to my stop on the Heroes and Villains blog hop. Read below to see how you can win a free signed copy of my YA fantasy, Curse of the Ice Dragon. A few months ago I talked about my villain, Madhea, an evil goddess from Curse of the Ice Dragon. You can read about Madhea here. For this blog post, I wanted to focus on one of the heroes in my book, Alec. Though he’s plagued with illness and not able to hunt or defend himself like his brother, The Mighty Hunter, Marcus, Alec is a hero to me because he’s never afraid to stand up to his tyrannical father. Despite their father’s best efforts to make Markus a monster, Alec serves as Marcus’s moral compass, teaching his brother right from wrong, knowing their father will beat him for it. To me, a true hero isn’t measured by physical abilities and strength, but the strength of heart and willingness to stand up for what he/she believes is right. “I wish I never had such skill. I wish I was more like you.” Tossing the blade aside, Markus turned toward Alec. “You might be as strong as an ox, but you are a lad still. Your time will come, brother.” Alec’s voice cracked before he coughed into his hand for several interminable seconds. Repressing the urge to laugh at his brother’s request, Markus pulled down the animal’s innards before ripping them free of its body. A smile crossed his face as the gutting was finally finished. All that was left were meat and bones for the stew. “I cannot help it.” He shrugged before tossing the organs in the bucket. Alec stood speechless behind him, leaving nothing between them but the wheezy sound of his strained breathing and the odor of fresh blood. Do you have a favorite fantasy or sci-fi hero? Leave your answer in the comments below and one random winner will be chosen to receive a free signed copy of Curse of the Ice Dragon. Blog Hop Participants — Visit them to win other prizes! Categories: books, Self Esteem | Tags: blog hop, Curse of the Ice Dragon, dragon, fantasy, heroes and villains, magic, tara west, witch, wizard, ya fantasy | Permalink. Another book blast and gift card giveaway!